2 days after we got back from Cornwall, my husband and I flew to Croatia to start our honeymoon off in the beautiful city of Dubrovnik. It was absolutely amazing! As a little treat for ourselves we had decided to book a luxury apartment just 10 minutes walk away from Dubrovnik old town. 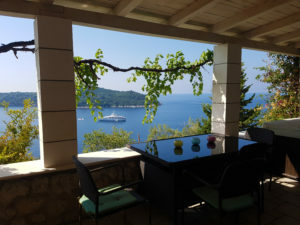 Apartment Mihaela featured 2 double bedrooms, the larger of which also had a walk in wardrobe, a gorgeous kitchen/living area, 2 bathrooms and a private balcony overlooking the Adriatic. The owners were lovely enough to welcome us with some romantic decorations, including rose petals, heart shaped candles and flowers, as well as a bottle of wine. 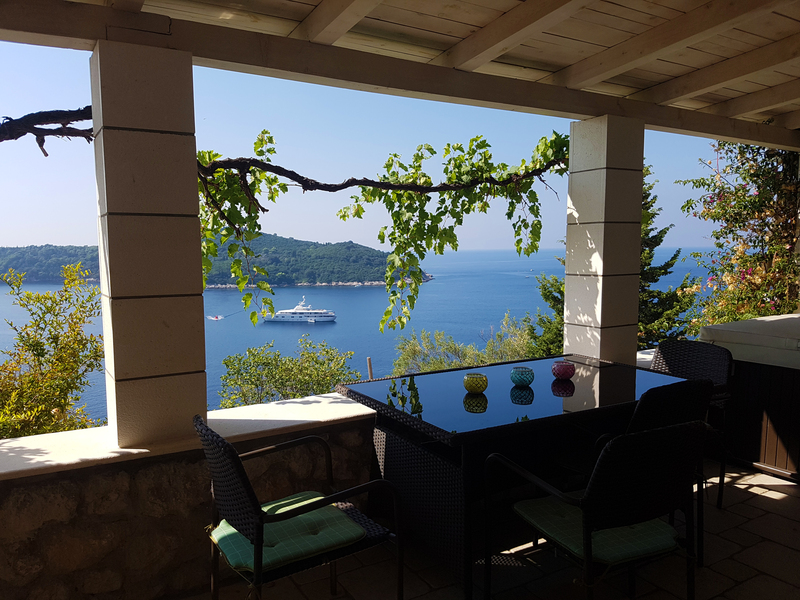 We arrived in Croatia after sunset so weren’t able to fully appreciate just how beautiful our apartment was until the following morning, when we were greeted by this stunning view. The wedding and all of the travel had made us pretty tired, so we didn’t do much on the first day aside from hang out at the apartment and spend some time in the hot tub. But we did have to get supplies so in the afternoon we walked down to the outskirts of Dubrovnik old town, went to the market, and took in some of the sights. 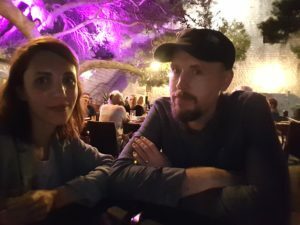 The next few days we spent exploring Dubrovnik, did some touristy things like visiting the old churches, taking a boat ride and going up in the cable car, and concentrated on shaking off all the stresses and worries of daily life by indulging our joint inclination to be incredibly lazy. And it was totally worth it. On our last night in Dubrovnik we went out for dinner and watched a lightning storm roll in from the west. It never actually reached the city, so we were able to enjoy our dinner in peace while the lightning lit up the skyline. Ralph ordered duck and I had the sea bass, which turned out to be one of the best pieces of fish I’ve ever eaten. 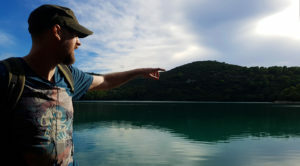 After 4 days in Dubrovnik it was time to go to Mljet. 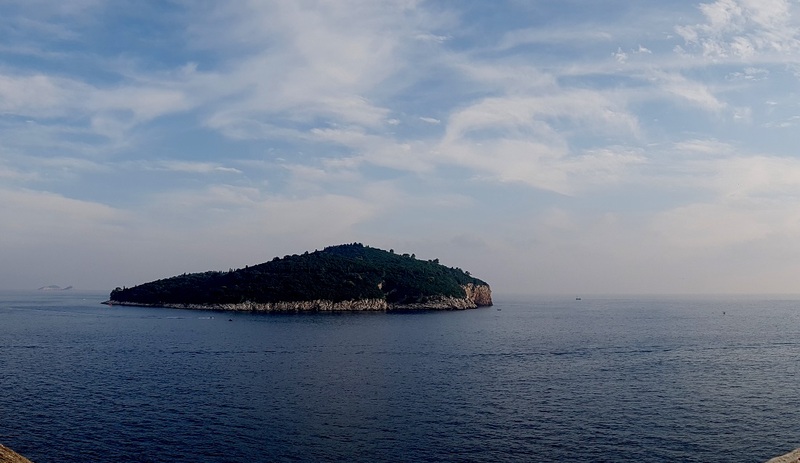 One of Croatia’s larger islands, 75% of it has National Park status and is completely unspoilt. Our plan was to get out of the city for a few days, to relax and enjoy the tranquillity of nature, and more specifically to go snorkelling in Mljet’s famous salt lakes. We also spent a day cycling around the lakes, which was amazing, and spent our evenings sat at a little cafe on the harbour front, playing with a family of kittens and watching the yachts coming in against a backdrop of the setting sun. Our apartment was in a small town called Pomena, which was about a 10 minute walk from the larger of the lakes and home to a number of cute little cafes, restaurants and bars. 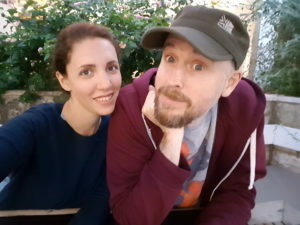 There’s so much more that I could have written about but I purposefully decided to keep this blog post relatively short, and to not include many pictures, because our honeymoon was so special that I don’t want to share every little detail with the entire world. 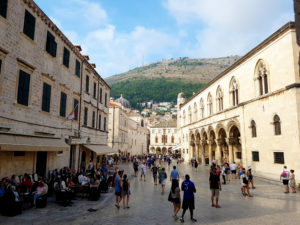 I was so sad to leave Croatia and we both wished we could have had more time – especially in Dubrovnik at Apartment Mihaela. This was taken on our last night in Mljet – and our last night in Croatia overall – when we went out for dinner at a pizza place on the harbour in Pomena. I think we look how we felt – tired, happy and completely content. I’m so happy I can now call this man my husband. We’ve been through a lot over the last 10 years, but it’s all served to make us stronger as a couple. I can’t wait to see what the future holds.